Whether we're in the studio, on the road or at home base, this is where you'll find us. We'll personally touch base with everyone and share our journey with you with exclusive behind the scenes moments, updates from the band members, and more. This is not the same old fan club. This is a live interactive scene where you can meet and hang out with us and other superfans. Here we will actually reply to your comments, participate in live chats and in the near future live stream events. 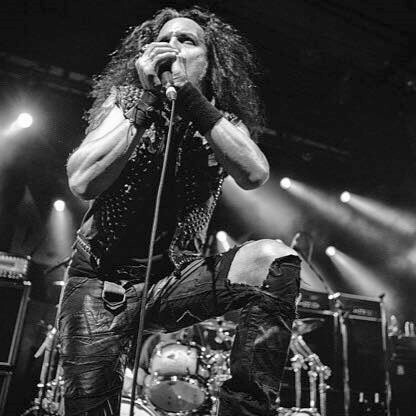 Not only are you supporting Death Angel but you are getting exclusive access to the band! It's like going backstage every day. This is not the same old fan club. This is a live interactive scene where you can meet and hang out with us and other superfans. We'll personally touch base with everyone and share our journey with you with exclusive behind the scenes moments, updates from the band members, and more. It's like going backstage every day. It's exclusive! You won't find The Pack experience on Facebook or any other social media platform. Exclusive social community, online events and content, weekly webisodes, monthly contests, riff tutorials and more. It all happens only here in The Pack. The Pack is managed by us and content is created personally by us. Help create the culture of The Pack! 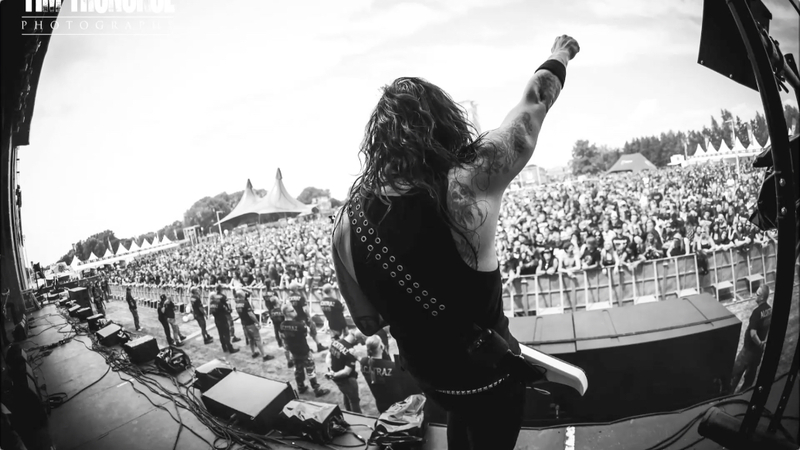 Play a part in Death Angel's journey through the digital music era. Interact with us and each other, contribute to The Pack content, provide your input and vote on new features and content. 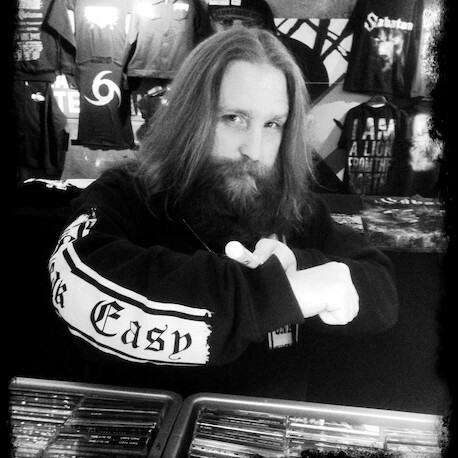 Monthly contests, Random Contests, Win Meet & Greets, Access to Exclusive Merch. Join/Login to The Pack for rebate form and instructions. 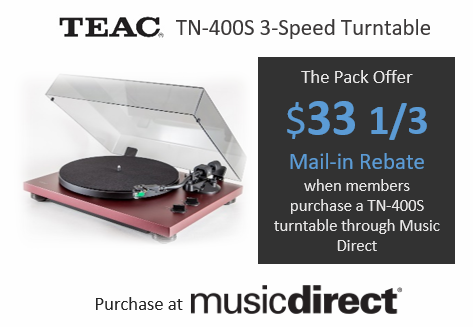 TEAC has just raised the bar with high style and high fidelity! The new TN-400S turntable is my favorite piece of audio equipment i have obtained in years! It is a razor sharp modern classic. TEAC have been innovators in analog and digital audio technology for many years. If you've made it this far you probably know who we are....and maybe we know who you are. 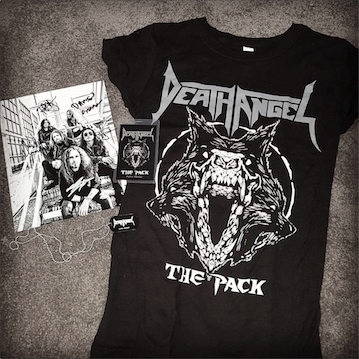 A while back we asked our fans what they wanted from a Death Angel fan club. We listened! Then we went beyond that. We're taking the best about a traditional fan club and the best of today's social technology and smashing them together to explore new and better ways to keep the Death Angel story going, and we invite you to become part of our story. This is only the beginning. New features and surprises will be released here as we go along. This is The Pack. This is about unity. We can make this place what we all want it to be. Ok, I get that, but really, how come it's not FREE?